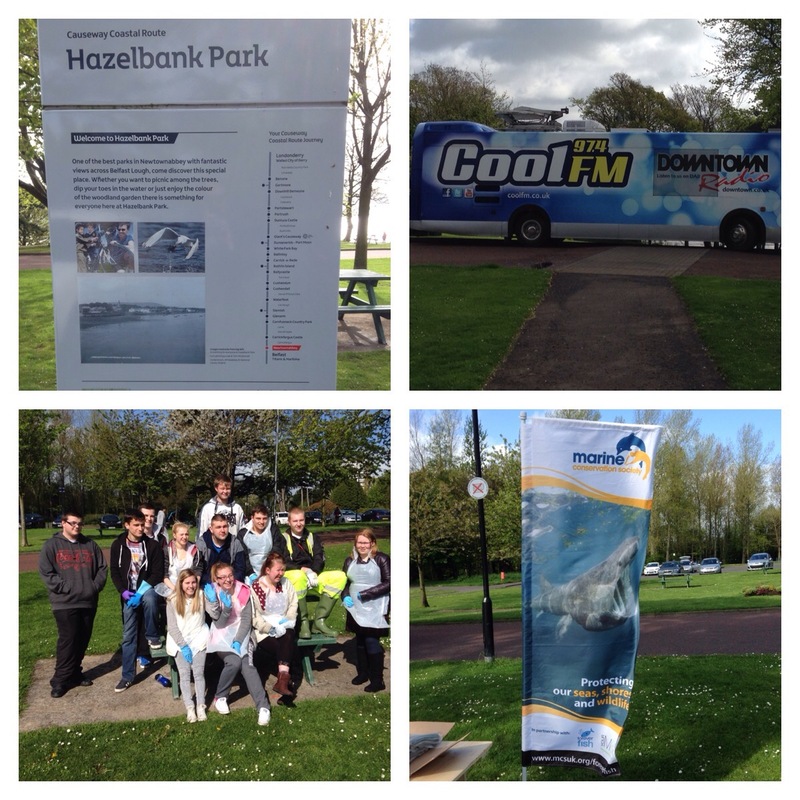 On a very incumbent weather day, I attended a beach cleaning event at Hazelbank Park. “Marks & Spencer (M&S) is encouraging its Northern Ireland customers to become big beach cleaners and help the Marine Conservation Society (MCS) clean beaches and protect our seas. 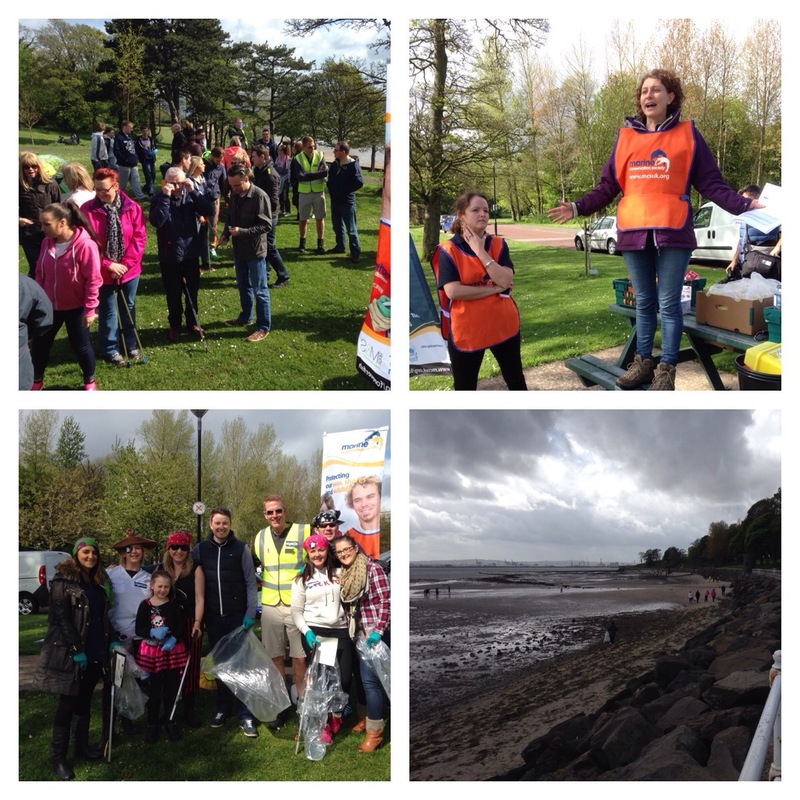 The M&S Big Beach Clean-up, organised by the MCS and supported by Antrim & Newtownabbey Borough Council, will take place on Monday 11th May and the aim will be to stop common items such as fishing nets, ropes and bottles tops polluting our beaches and seas. There were about 70-80 people there at 10am, ranging from school kids, employees and customers. After a briefing from the Marine Conservation Society and a word or three from the Area Manager for Northern Ireland (Ryan) it was all stations go and down to the beach to pick up litter with our litter grabbers and gloves. It was surprising and shocking to see the amount of litter on our beach, from glass to tins, from plastic bags to baby wipes!!! All non biodegradable and if the small fry eat them then the bigger ones will and eventually we could end up eating them!!!! Hence M&S do this and this is year four. They are cleaning over 100 beaches UK wide. I’m very supportive of this initiative as it can affect our produce (dulce, oysters and salmon to name but a few) and hence food. Also if we have clean,safe beaches then we can attract more visitors, both local and further afield. I can remember collecting, cooking and eating mussels over 20 years ago from this very beach!!!! I was teamed up with Ryan and another M&S finance person. It was great to see a local man fill the role as Regional Manager and it was a great opportunity to talk about various topics such as local sourcing, ethical farming, addition of sugar,salt and fats to foods and education of children and their parents. So a big thank you to M&S and MCS. Do get involved in the future.